Welcome to the Arlington County CostumeLab, a service of Arlington Cultural Affairs. The CostumeLab offers high quality, theatrical grade costume rentals to nonprofit performing arts organizations and companies in the for-profit theater, television, and film industries. The Arlington CostumeLab has been serving the theater and film community in the Washington DC, metropolitan area, and nationwide for over 50 years. The costume rental stock includes over 20,000 pieces including period garments for men and women, modern dress, hats, shoes, military service uniforms, capes, corsets, armor and more. Watch Arlington CostumeLab Manager Jennifer Biehl speak more about the CostumeLab services below! The CostumeLab offers rentals, costume construction services, and dye vat rentals. These services are available to non-profit performing arts organizations and companies in the for-profit theater, television, and film industries locally and throughout the United States. For a tour of our rental stock, pricing for costume construction, or rates for dye vat rentals, please see our Arlington CostumeLab Rental Policy or contact the CostumeLab Manager for more information. 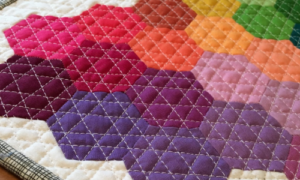 Curated by the Arlington CostumeLab, this 3rd annual exhibit by the DC Modern Quilt Guild is a celebration of the art of contemporary quilt making, focused this year on working with all solid color fabrics. The exhibit concludes during National Quilt Making Month. Use #NationalQuiltingDay to share your pictures and reactions on social media. Open during normal business hours Monday through Saturday. The Arlington County CostumeLab is presenting The Cosplay Repair Booth. 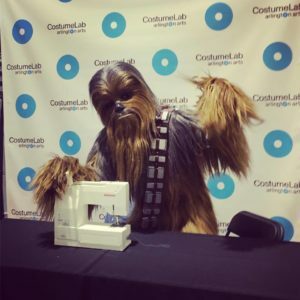 Including mirco-classes, cosplay material/technique demonstrations, and a full repair booth with talented costume crafts artisans to mend your cosplay right on site! Learn more about BlerdCon here! Women’s fashion of the 20th Century was influenced by politics, social movements, music and more. From platform shoes to saddle oxfords, bell bottoms and pill box hats, fashion trends from the last century have created the fabric of our culture. Join Arlington County’s Costume Lab Manager, Jennifer Biehl, to learn about the history behind the clothes. The Arlington County CostumeLab has big plans for future growth! Be sure to follow the CostumeLab on Facebook and Instagram for all of the latest news. For more information please contact the CostumeLab during business hours at (703) 228-6974, or email at costumes@arlingtonva.us.